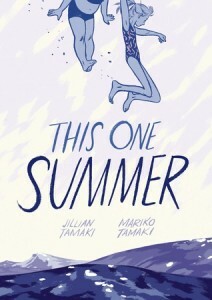 With the heat on full blast outside, and the thoughts of fall looming, graphic novels can be a great way to relax at the end of the summer. Whether you read solo, with you family, as part of a book club, or aloud to your dog, make sure to add these challenged and banned comics to your list of upcoming reads. 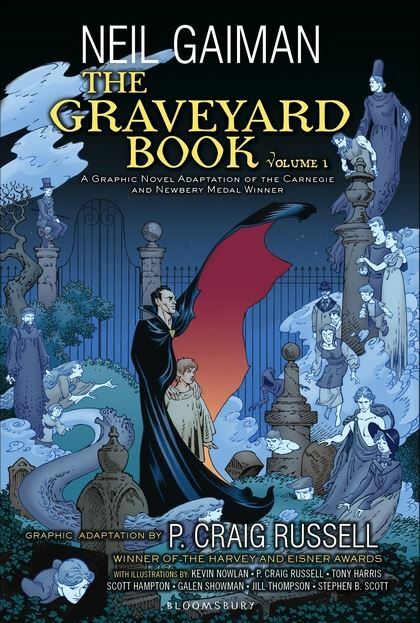 Based on the the multiple award-winning YA book of the same name, The Graveyard Book is a beautiful book for most ages. Don’t let the YA label fool you, like much of Neil Gaiman’s work, the emotions and wit are timeless, so whether you want to read it with your tween or reccomend it to your parents, it would be difficult to find someone who doesn’t get emersed in Gaiman’s world. The book follows the young boy “Bod” after he looses his family, and is adopted by the supernatural tennets of a cemetary. • Get both volumes combined into one lovely hardcover, signed by Neil Gaiman. If you haven’t read the most frequently challenged and banned graphic novel in America right now, what are you waiting for? This is your engraved invitation. Though be warned, it’s going to be far less shocking and not at all as depraved and you are picturing. 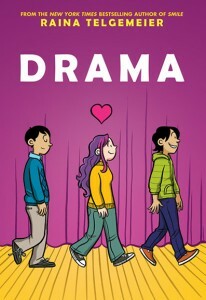 Drama, which is recommended for ages 9-14, Drama is a funny feel-good book about navigating the trials and tribulations of middle school. Callie is passionate about being on the Drama Club’s tech crew and is happiest when she’s working on set ideas or as a stage manager. This is a great title for kids who are into theater and theater nerds who have grown up and remember their time in tech fondly. 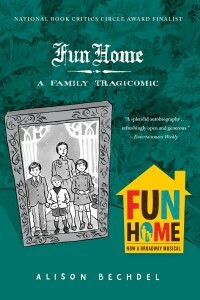 An autobiographical memoir, writer and artist Alison Bechdel tells her story of her distant relationship with her closeted father and a subsequent revelation that he too is gay when she comes out as a lesbian — a revelation that Bechel is left to ponder with the death of her father a few short weeks later. A beautiful and poignant graphic narrative, Fun Home not only depicts Bechdel’s own personal issues, but also brings to light many issues that young adults themselves encounter and have to face today. Also for a little extra fun, check out the music from the award-winning Broadway musical based on the graphic novel, to see how they translated the page onto the stage. • Want to bring Fun Home to your Banned Book Club? Check out the CBLDF Discussion Guide. • CBLDF Case Study for Fun Home. • Buy a signed copy and support free speech from the CBLDF store! 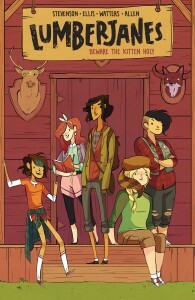 Lumberjanes is an ongoing coming-of-age series about friendship and girl-power in the great outdoors. It is filled with humor and adventure as a lovably quirky diverse group of friends tackle wild, mystical mysteries using anagrams, astronomy, and Fibonacci series’ strategies, mixed in with brain power and pure brawn. While marketed for tweens and teens, these volumes can be enjoyed by kids and adults of all ages. • Buy a signed copy of volume one to start your collection off right! One of the most influential graphic novels of all time and a perennial bestseller, Watchmen has been studied on college campuses across the nation and is considered a gateway title, leading readers to a lifelong love of comics. This Hugo Award-winning graphic novel chronicles the fall from grace of a group of super-heroes plagued by all-too-human failings. Along the way, the concept of the super-hero is dissected as the heroes are stalked by an unknown assassin. 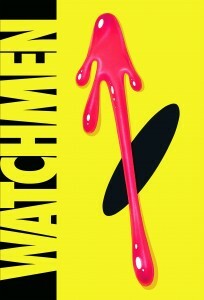 If you haven’t read Watchmen yet, or if youhaven’t read it in 20 years, it might be time to revisit the work. They just greenlit a television show set in the Watchmen world, but updated for today’s reality. • Want to bring Watchmen to your monthly Comics Book Club? Download the CBLDF Discussion Guide! • Have someone in your life who swears comics are for kids? Proove them wrong and support free speech, by getting them their own copy of Watchmen signed by Dave Gibbons. Brian K. Vaughan and Fiona Staple’s sci-fi epic Saga has quickly become one of the most critically acclaimed and celebrated comic series published in recent history. 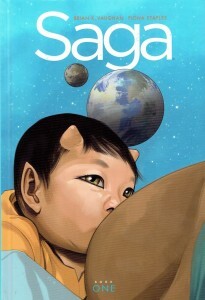 Applauded for its narrative complexity, world-building, and characterization, Saga is a pure example of a great sci-fi/fantasy adventure, an instant classic and staple for all comic book collections. The story centers around two lovers from long-warring extraterrestrial races, Alana and Marko, fleeing authorities from both sides of a galactic war as they struggle to care for their newborn daughter, Hazel. The themes in Saga are achingly poignant and brilliantly woven. • Read the CBLDF Saga Case Study. • Already love Saga Add Saga to your classroom or library! • Get the first volume here and support the fight for free expression!